The Bahamas is one of the wealthiest Caribbean countries with an economy heavily dependent on tourism and offshore banking. Tourism together with tourism-driven construction and manufacturing accounts for approximately 60% of GDP and directly or indirectly employs half of the archipelago's labor force. Prior to 2006, a steady growth in tourism receipts and a boom in construction of new hotels, resorts, and residences led to solid GDP growth but since then tourism receipts have begun to drop off. 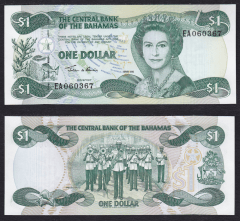 The global recession in 2009 took a sizeable toll on the Bahamas, resulting in a contraction in GDP and a widening budget deficit. The decline continued in 2010 as tourism from the US and sector investment lagged. Financial services constitute the second-most important sector of the Bahamian economy and, when combined with business services, account for about 36% of GDP. However, the financial sector currently is smaller than it has been in the past because of the enactment of new and stricter financial regulations in 2000 that caused many international businesses to relocate elsewhere. Manufacturing and agriculture combined contribute approximately a tenth of GDP and show little growth, despite government incentives aimed at those sectors. Overall growth prospects in the short run rest heavily on the fortunes of the tourism sector.